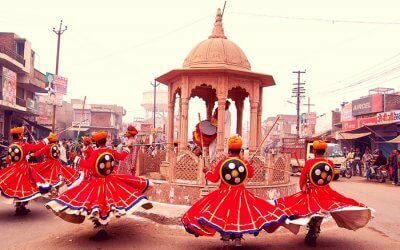 The golden city of Rajasthan begins to surprise its guests the moment they step in. Right from the breathtaking beauty of the city to the spectacular experiences it offers, everything is heartwarming. 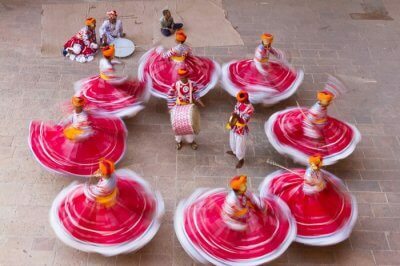 But, what would captivate your heart the most are the gorgeous Jaisalmer resorts that look up to you like royalty and pamper you like a prince when you stay there. 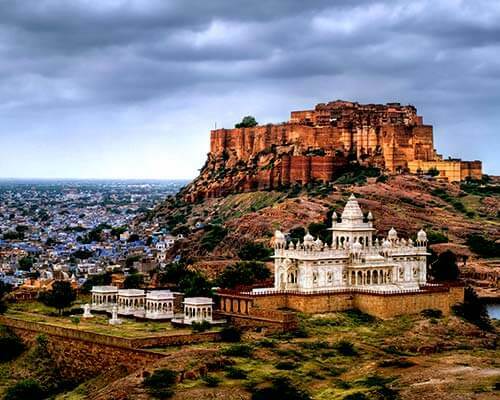 These accommodations are known for their hospitality and for offering extremely comfortable, spacious rooms that will make you want to keep revisiting Jaisalmer. 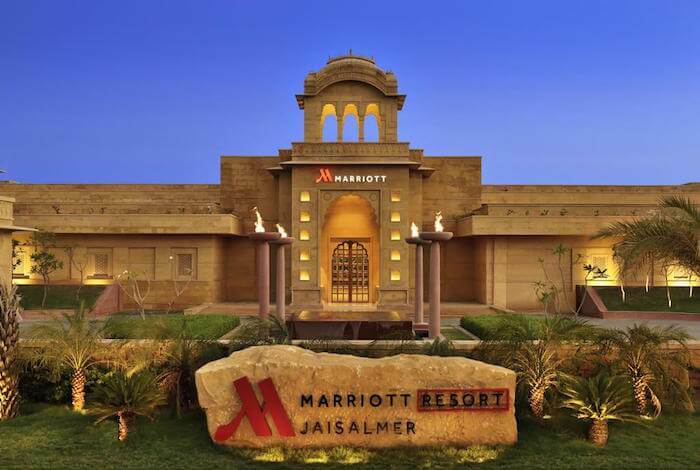 Located in the heart of the golden city, this Jaisalmer resort is the best for experiencing world-class hospitality and a royalty-like stay. 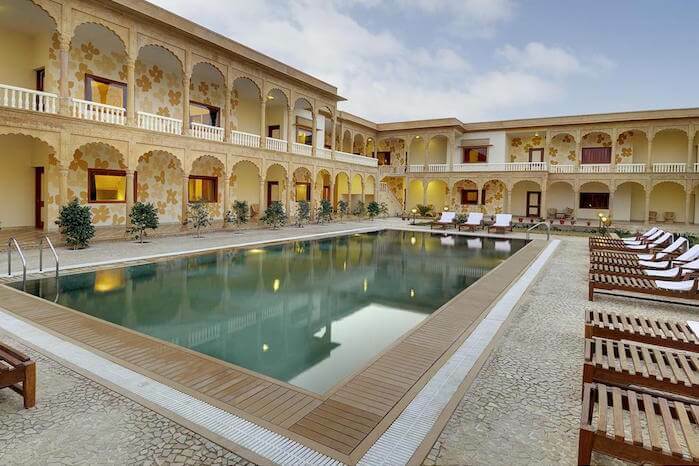 This is one of the most frequented Jaisalmer resorts with swimming pool. 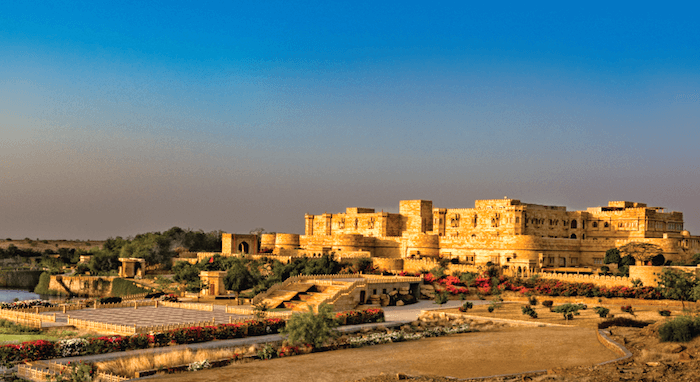 The resort overlooks the spectacular Jaisalmer Fort, has exquisite dining options, a sparkling outdoor pool for chilling, and an exotic spa treatment for pampering. You will have a great time here with your family or friends. Are you ready for an adventure? Must Read: Best Hotels In Jaisalmer: For Those Who Crave Luxury & Royalty In One Go! 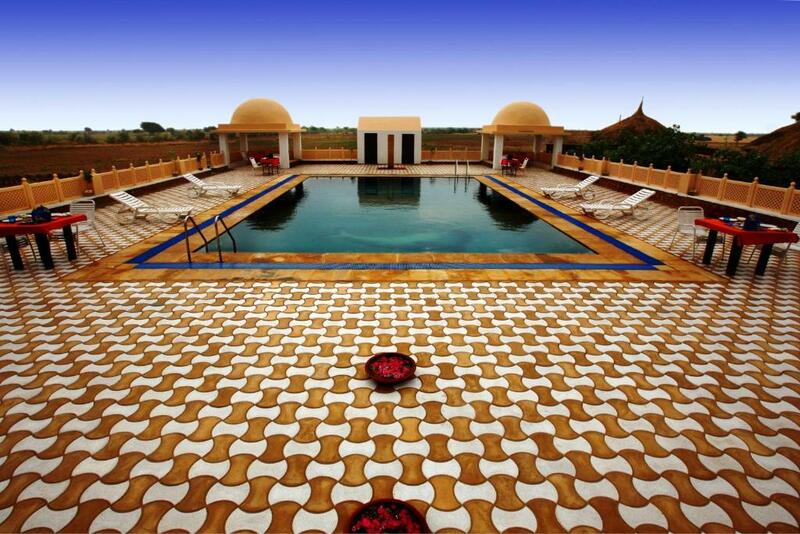 Redefining luxury and representing a unique lifestyle, the Suryagarh is undoubtedly one of the best Jaisalmer resorts. It offers a taste of the glorious past, whilst presenting them with a modern twist. If you’re looking for a five-star place, then this is where you need to stay. 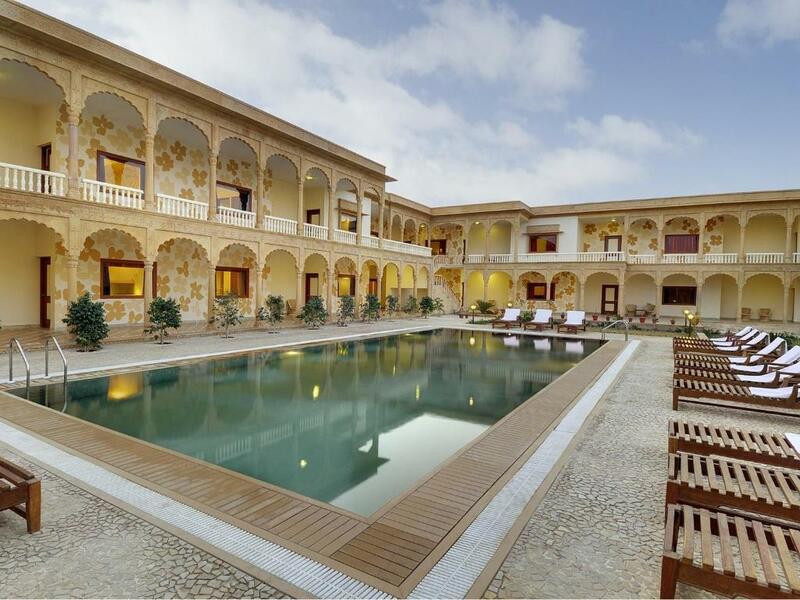 This is one of the most luxurious resorts at Jaisalmer. You will have the best time in this palace. It is unlike any other. Experience it first hand to understand what we are saying. Absolutely perfect for families, couples, and even solo travelers, the Mirvana Nature Resort is a great place to stay in Jaisalmer. It lies in a verdant oasis some 55 km away from the city, which is why it’s the best retreat to escape the bustling city and rejuvenate your mind and soul. 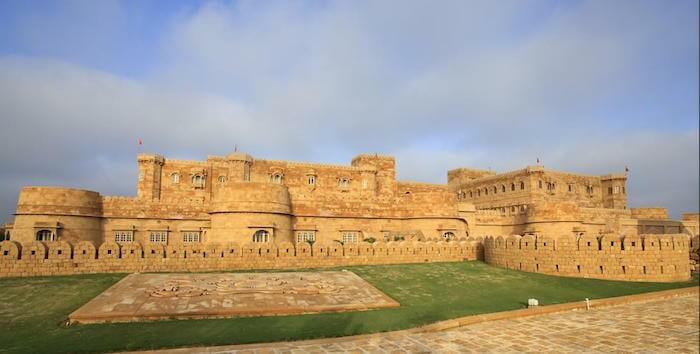 This is one of the most picturesque resorts in Jaisalmer desert. This is the perfect camping ground for newly married couples and young adults in love. An exquisite all-in-one luxury resort in Jaisalmer, Desert Tulip is the perfect place to stay. With its exemplary amenities like a plush outdoor pool, two elegant restaurants, a relaxing spa, and a fitness center, it offers an experience you would have never had before. 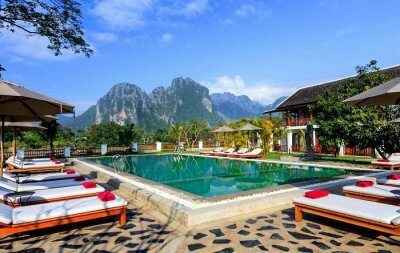 This resort is the best choice for backpackers and group female travelers. 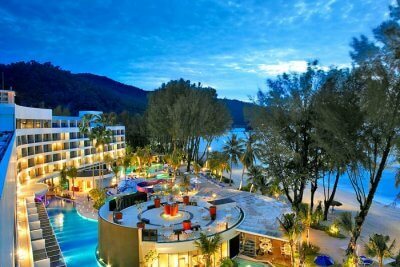 Their amenities and facilities are out of the world. 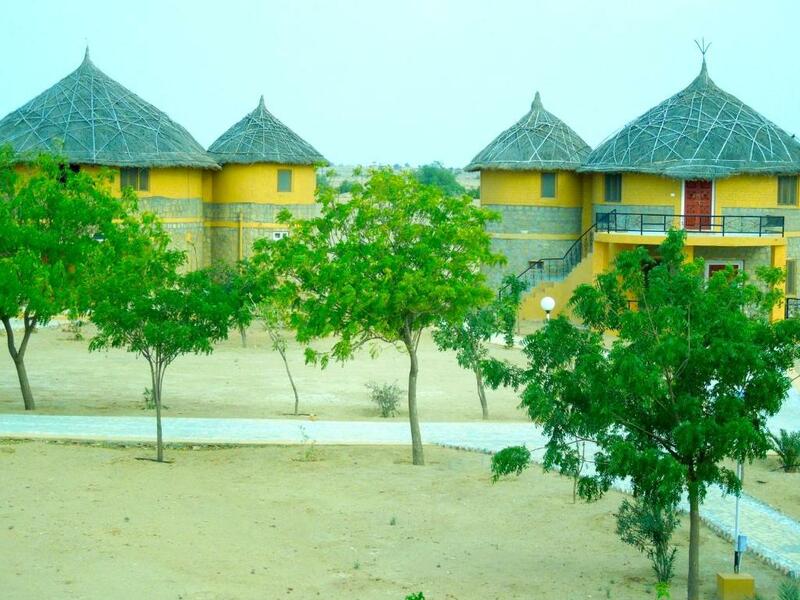 Amongst the top Jaisalmer resorts, Club Mahindra will give you a good glimpse of the royal lifestyle. 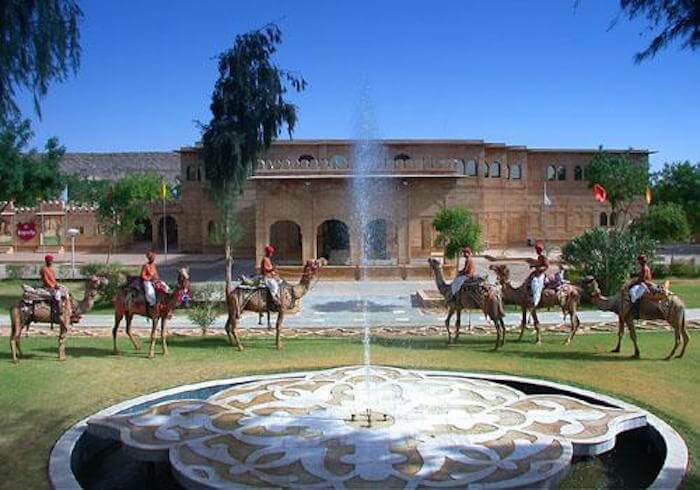 It is located on the outskirts of the city, has been designed in the Haveli style, and offers great views of the Thar Desert, which adds on to the glorious experience the retreat offers. You will have an out of the body experience here. Don’t forget to avail their spa facilities. For experiencing an exclusive luxury tented accommodation, this Jaisalmer resort is the best place to stay in the city with your loved ones. 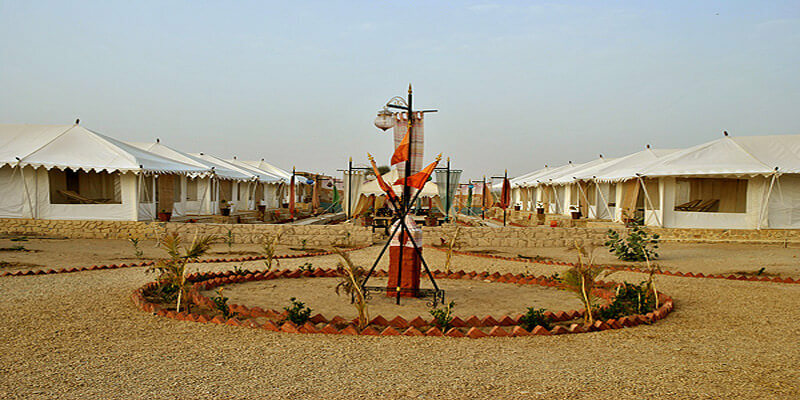 The camp offers similar magic and adventure as that of the Silk Route, along with the modern day amenities and traditional hospitality. This camp all over Jasalmer for its wonderful services and the staff’s unique ways to make you feel welcome. 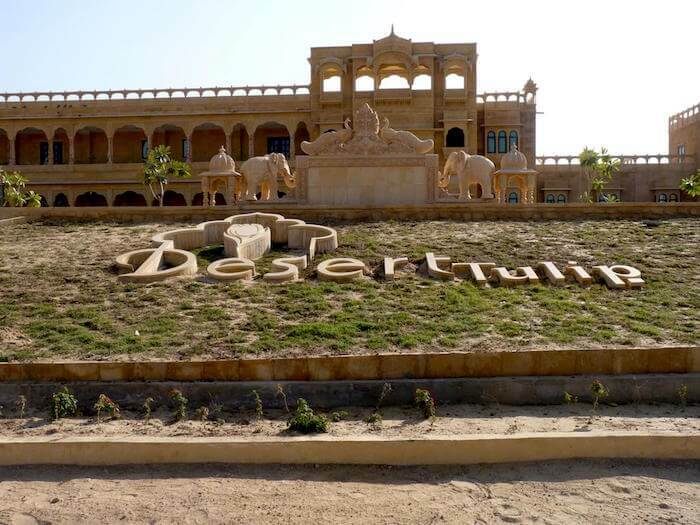 Of all the luxury resorts, Jaisalmer’s Devi Desert Resort & Retreat offers a respite from the monotony and an opportunity to experience a regal stay at one of its 23 bungalow style accommodations. It guarantees not only peace but also privacy to ensure that your stay becomes as memorable as your desired. The staff is friendly and will cater to all your needs. 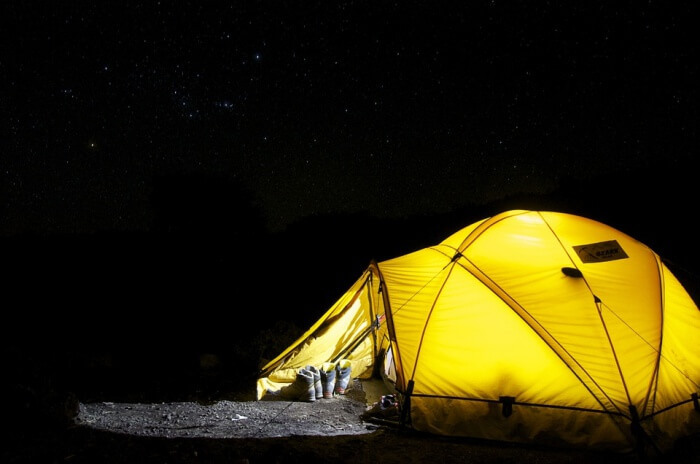 If you want something a little private, you can ask the staff and they will give you one of their more secluded camp areas. 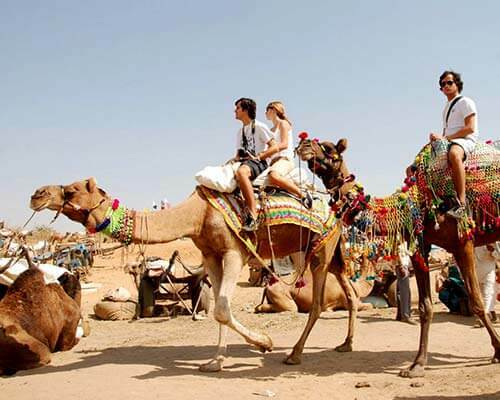 If you are searching for the best resorts in Jaisalmer sand dunes, then look no further. Being the first desert camp, this is the ultimate place to stay and relax like never before. The window, Maharaja style room, and one verandah make it a unique accommodation option amidst the desert. 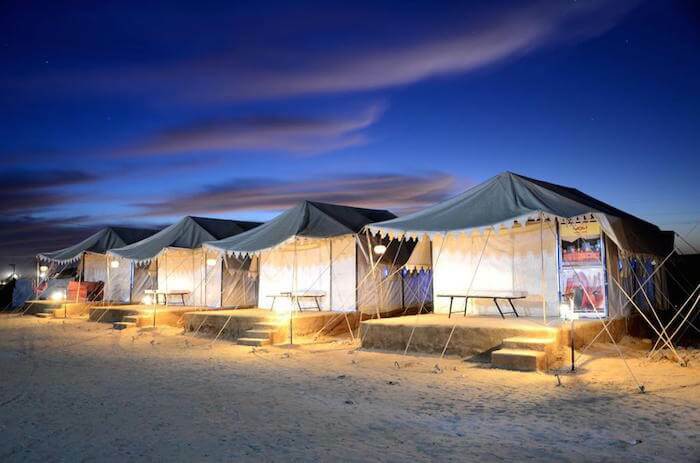 You search for the perfect Jaisalmer resort ends with Heritage Queen Sam Desert Camp And Resort. 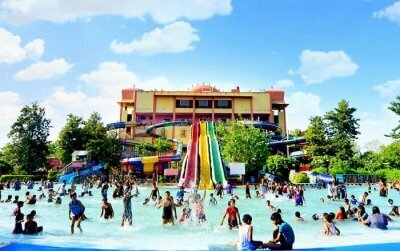 Located ideally in the city, this heritage resort offers an incredible experience at very pocket-friendly prices. Be it the exteriors of the palace or the interiors, everything there is mesmerizing and true to its core. You can definitely reserve a spot here if you’re looking for a cheap option. You will have all the amenities and facilities at your service. You will also get personal butlers. 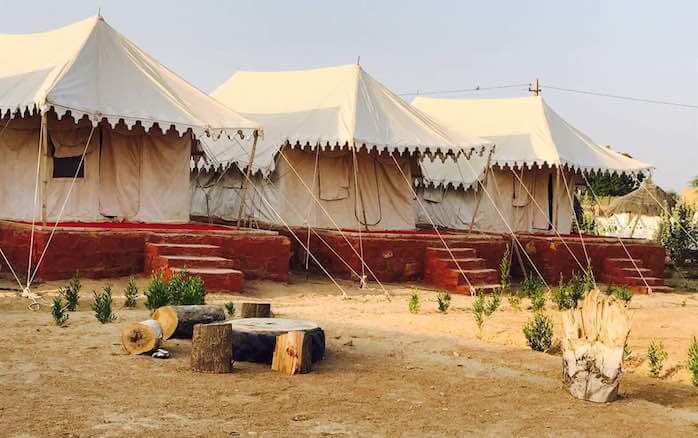 Offering exclusive luxury tented accommodation amidst the sand dunes in Rajasthan, this is one of the best place mentioned on the Jaisalmer resorts list. It is located some 40 km away from the golden city, letting you enjoy ultimate privacy in the romantic ambiance of the Thar. One thing that makes Sand Dunes Resort stand out from the rest of the accommodations is its attention to the people’s needs and demands. 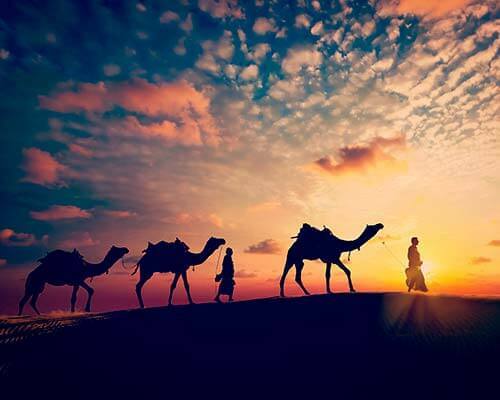 Just less than 1 km from Jaisalmer Fort and a 9-minute walk from Patwon Ki Haveli and featuring free WiFi, Sunshine Desert Camp And Resort offers accommodation in Jaisalmer. The tented camp has access to a restaurant. This resort has a fully equipped kitchen, a dining area, and a cable TV. Make sure to stay here with your loved ones for a chill time. This will be a trip of a lifetime. 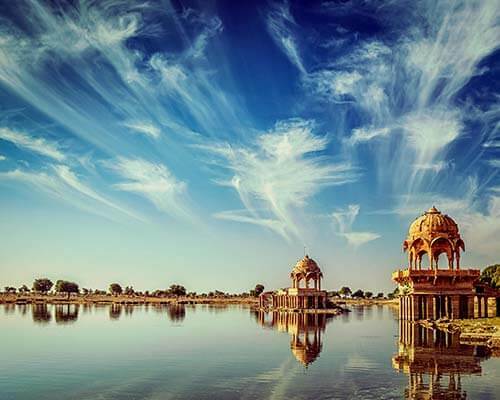 So, which of these Jaisalmer resorts would you pick for your next stay during your Rajasthan holiday? Do tell us in the comments below. These accommodations look straight out of our dreams. They have all the facilities to keep you happy and content during your trip. 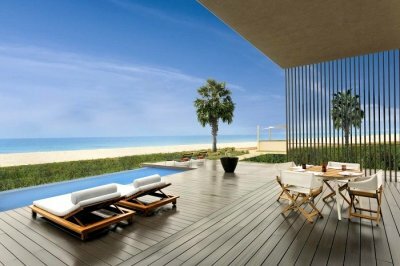 Don’t wait, pack your bags and jet off to one of these places to live like a king.